Six improvements will be included in the Shelter Island Boat Launch Ramp project which will revitalize the popular ramp used by more than 50,000 boats each year. Port of San Diego and State Lands Commission authorize an amendment to boat launch ramp plans. SAN DIEGO — An aging boat launch ramp at the upper end of San Diego Bay will soon be upgraded. 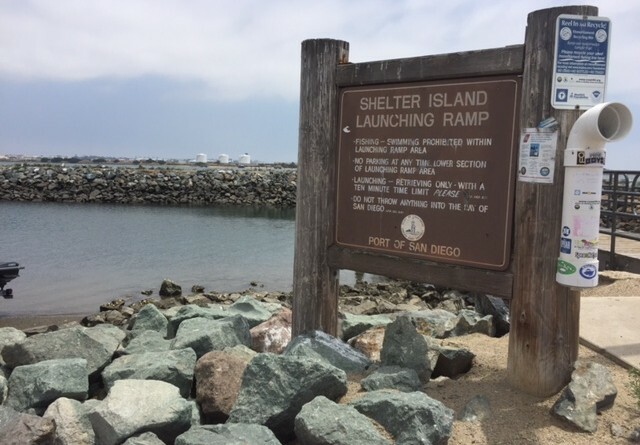 Right now the slow wheels of bureaucracy continue to churn as regional and state agencies approved a lease amendment and resolution for San Diego’s Shelter Island Boat Launch Ramp. The Port of San Diego Board of Port Commissioners adopted on July 27 a resolution and ordinance authorizing a lease amendment for the boat launch ramp to include new improvements to be made on the planned project. In all six improvements would be included in the new lease agreement and renovation project, ranging from jetty removal to pile installments and public walkway construction. construction of east and west floating concrete boat docks with 31 cleats. The State Lands Commission also approved the amendments. Port staff anticipates the new improvements would not adversely impact the approved budget for the project. All funding for the $9.5 million project is coming from the California Division of Boating and Waterways and the California Wildlife Conservation Board. Shelter Island’s 10-lane boat launch ramp is free to the public and was constructed in 1956. The last round of improvements was made in 2006. About 50,000 boats are launched annually from the ramp. “[The boat launch ramp] is in need of renovation due to the corrosive and wearing actions of seawater, heavy use by boaters, increased congestion and delays when launching boats in the limited basin area, and limited boat access during low tide,” port staff stated in its report to commissioners. Upgrades would be made to the boat launch ramp, jetties, gangways, floating docks, kayak launching area, restrooms and parking, according to port staff. Port staff anticipates the project would be completed within six to 10 months. Depending on when the plans earn final approvals the new boat launch ramp could open at some point in 2017. “For safety purposes, the [boat launch ramp] will be closed to the general public throughout the approximately six- to 10-month construction period, during which time users of the [boat launch ramp] will be redirected to other public boat launching facilities in San Diego Bay and Mission Bay. The district will notify users of the [boat launch ramp] of the upcoming temporary closure several months prior to initiation of project construction,” port staff stated.